Free for students, professors and schools. Great for careers, the profession and the planet! Process safety is an important but often overlooked aspect of a chemical engineer’s early and continuing education. When working in chemical engineering, it’s simply not possible to learn by trial and error when the error can have catastrophic or dangerous implications. That’s why, as part of the AIChE’s Doing a World of Good campaign and in conjunction with the Center for Chemical Process Safety (CCPS), industry and academia have come together to launch a major global initiative to improve and accelerate process safety education at the university level. 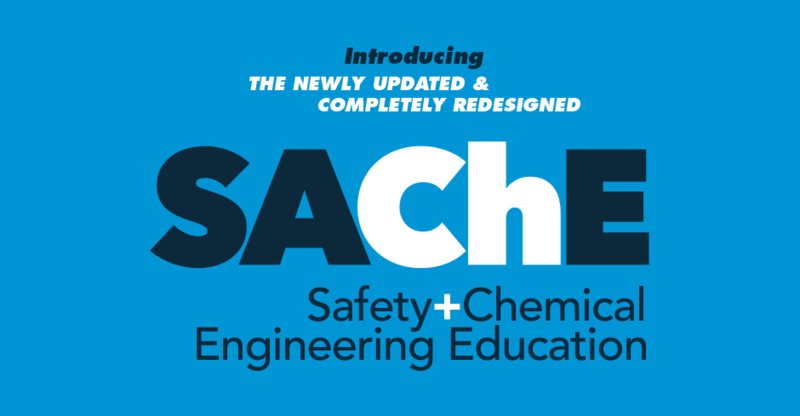 We’ve completely updated and redesigned the SAChE Certificate Program with new interactive learning modules and a dynamic curriculum that makes incorporating process safety education easy, engaging and free. The first series of courses in the program should be taken when students have reached their sophomore year and before they go into internships. These courses are meant to provide students with a foundational knowledge of process safety that will serve as a basis for the rest of the curricula. Level two elaborates on the concepts learned in level one, provides more technical background, and examines how the concepts are applied to real-world situations. These courses are designed to be taken at the senior level, when students are enrolled in upper-level chemical engineering courses and are preparing to graduate. Intended for senior-level students, level three courses are the most advanced. These courses explore process safety topics in more depth and detail than the level two courses do, and cover issues of concern in specific industries and areas of specialization. Students’ career paths will influence which courses are applicable. Educators may choose to require students to take some of the level 3 courses. These two additional classes are available to be taken at any time to supplement the process safety curriculum. Register for courses anytime. No application is required. Courses are free for AIChE Undergraduate Members. Not a member? Sign up for a free AIChE Undergraduate Membership here. Professors and faculty members: please contact Jing Chen at jingc@aiche.org for a promo code to access all SAChE Certificate Program courses at no charge. 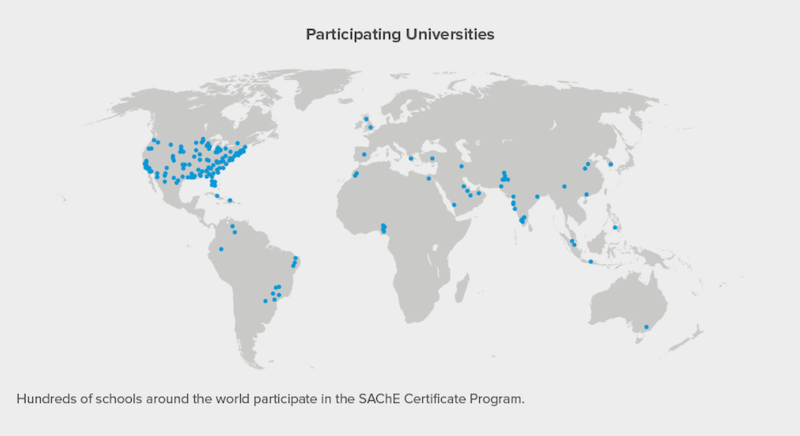 SAChE certificates are valued by industry; therefore they can and should be added to students’ resumes. 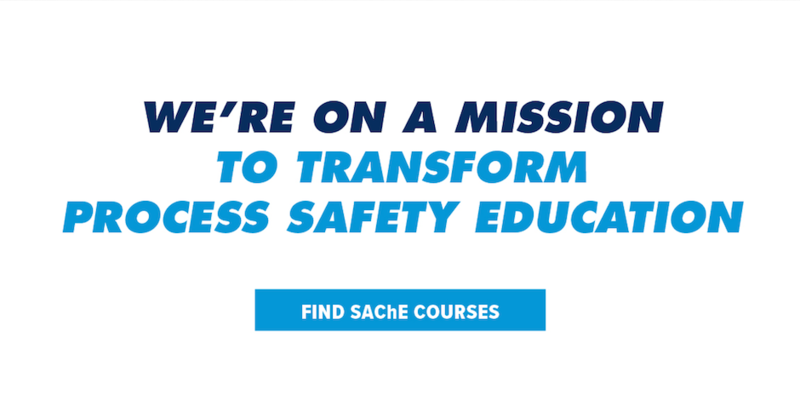 After completing each of the SAChE courses, you will be able to access your safety certificate online. SAChE Certificate courses are recommended for all undergraduate students in chemical, mechanical and industrial engineering, as well as in chemistry. This material is also beneficial to young engineers in industrial settings. Must be an AIChE member. Learn more about membership.